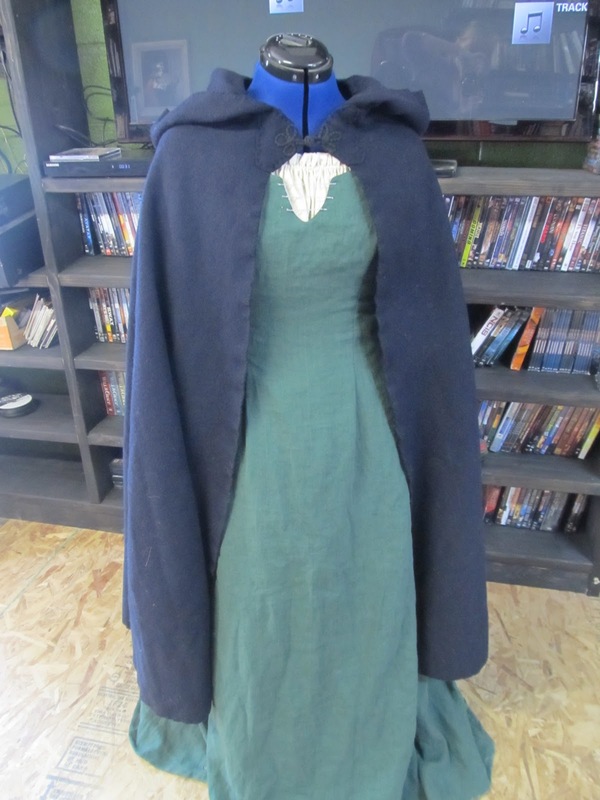 And here's some pics of a project I recently created for a customer; Merida's green gown from 'Brave'. 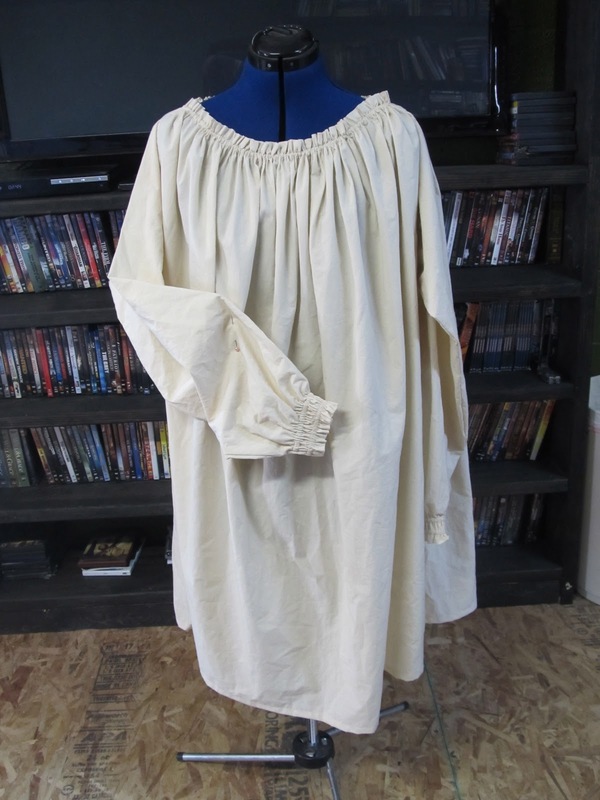 The chemise is made from some very crisp muslin (Moda, my fav). 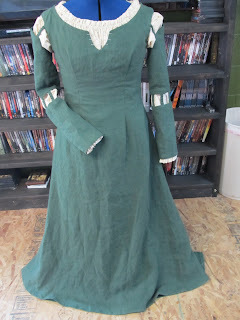 The wrists each have two rows of elastic, and the neckline is gathered with cord. 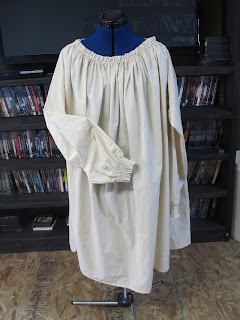 The gown is made from linen and lined in cotton broadcloth. For the decorative lacing at the top of the bodice I ran embroidery floss through separately for each row, and covered with silver machine embroidery thread using a button hole stitch. 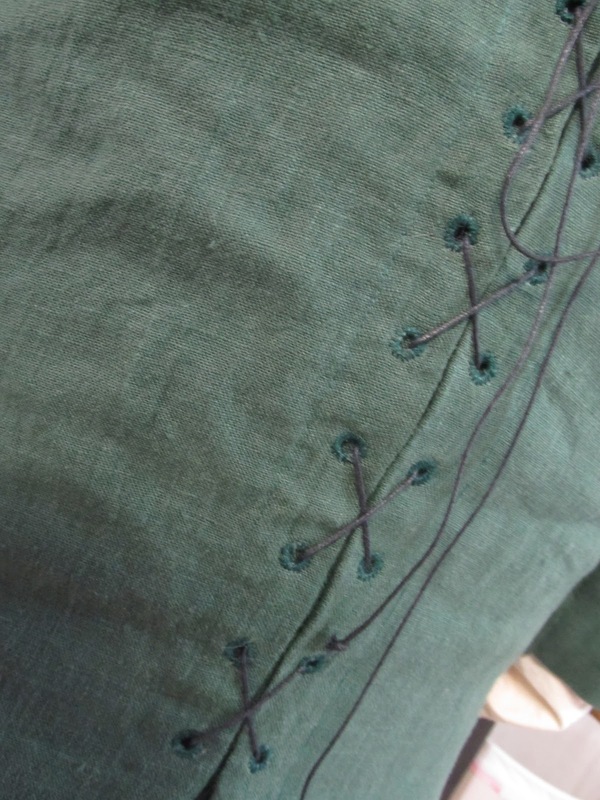 I hand bound thirty eyelets for the back lacing. 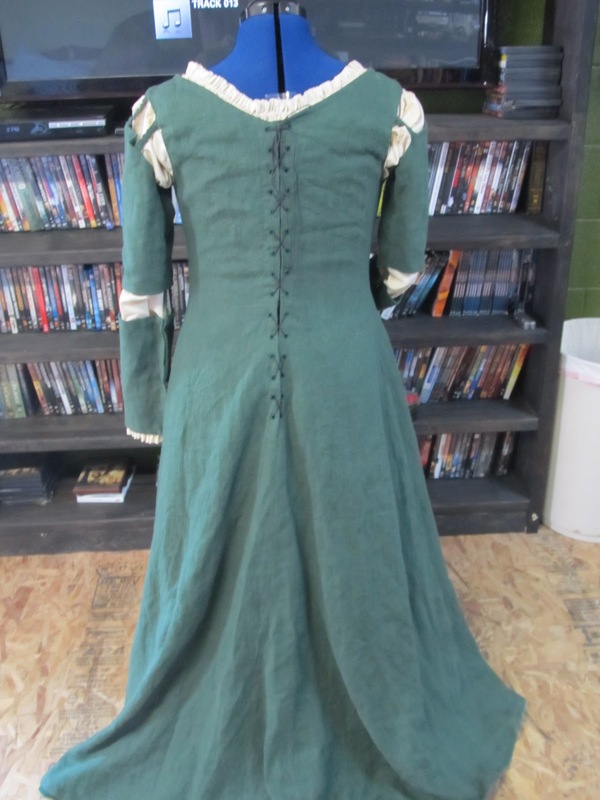 The lacing cord is purchased cotton cord. All the sleeve joins are tubes inserted with elastic and sewn in place. I was not able to do a fitting in person for this gown, and figured that would be the easiest way to ensure adjustability and fit while remaining true to the movie version. 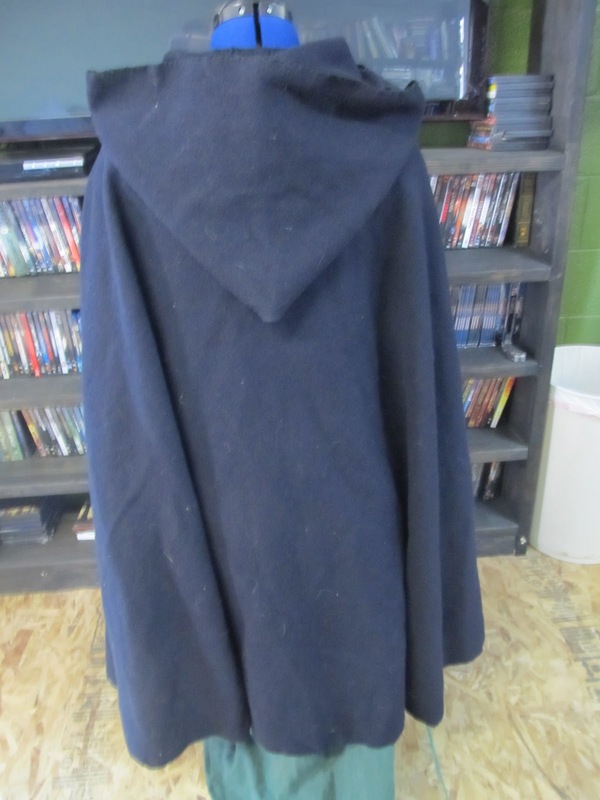 The cloak is made from coat weight wool and the edges are finished with a blanket stitch. I we could not find a good image of the front closure of the cloak I used what I had on hand.